One of the true pioneers of the Toronto bathhouse scene has died. Peter Bochove passed away on Sunday after battling lung cancer. He was 65. Back in 1981 the police destroyed his business, the Richmond Street Health Emporium, during the Bathhouse raids. The gay community became galvanized, and soon Bochove found himself in a position of being an activist. It was a turning point in the history of gay rights in Canada. As the owner of one of the bathhouses targeted, Bochove became outspoken about police brutality, the right to sexual freedom and privacy. In 1988 Bochove attempted to open up another bathhouse, Spa on the Maitland. After two years of legal wrangling, Bochove finally got his license. That decision set up a precedence for every bathhouse that has followed. Which guaranteed every bathhouse protection from future city harassment. There will be no funeral or memorial planned. A simple cremation is scheduled, which is what he wanted. Truly one of a kind, he will be missed. 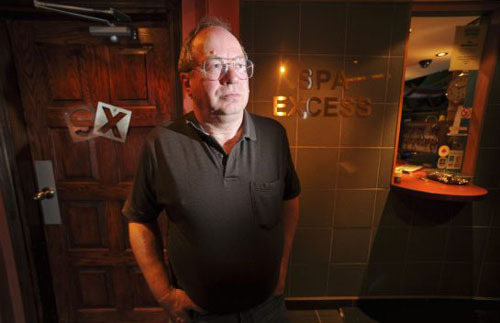 For more read go to Toronto’s bathhouse king, Peter Bochove, dead at 65.